My wife and I saw a performance of Richard III at the Blackfriars Playhouse in Staunton, VA last Saturday and it was an outstanding show. If you ever want to see Shakespeare on an Elizabethan-style stage, where there are no set or lighting changes and the acting and dialogue is on display, then Staunton is worth the trip. As you can see in the opening soliloquy of Sir Laurence Olivier’s portrayal, Richard is an angry, ambitious, and deceitful villain, who is keen on climbing the English Royal ladder. He is deformed and disfigured, but possesses the wit, cunning, and ruthlessness to murder his way to the top. A modern day comparison might be Nucky Thompson in Boardwalk Empire, and Steve Buscemi would be one heck of a Richard. I got to thinking, which NFL star would play a good Richard? I started by Googling “NFL Shakespeare”. The first link that popped up was a Wiki entry on the former player who literally had the name “William Shakespeare”. 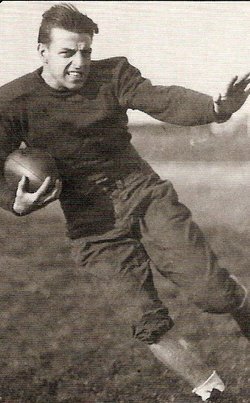 Yes, believe it or not, he was a former All-American at Notre Dame who was the third overall pick in the 1936 draft. After I got through reading about “The Bard of Staten Island”, I went back to the Google results and spotted this gem. Eddie George played Julius Caesar in January?!? I must have been living under a rock to not know that the Nashville Shakespeare Festival had a Heisman-Trophy-winning, Toga-wearing, former Titan as the face of its show. George’s good looks and stature provided him with enough stage presence to play Caesar. He also has a great voice. From a few reviews I read, it sounds like he hasn’t quite mastered acting but has potential. I decided to come up with a list of 10 current NFL players who would make great Shakespearean actors. Good looks, strong personalities, and the ability to speak clearly were what led to my casting decisions – along with my silly interest in seeing this actually happen! 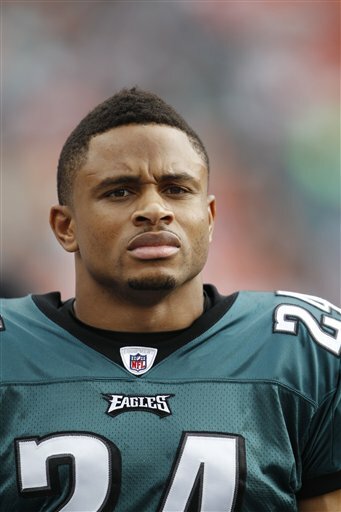 10) Nnamdi Asomugha – Great guy, intellectual, and clean cut. Fit for a romantic role in a comedy, like Lysander in A Midsummer Night’s Dream. 9) Matt Hasselbeck – Funny, with a sharp, sardonic wit. The perfect Shakespearean jester or “fool” providing the laughs. Hamlet’s Gravedigger or Twelfth Night’s Feste. 8) Ray Lewis – Intense, dramatic, and forceful. Would be great as a King or military leader, like Coriolanus. 7) OsI Umenyiora – Thoughtful with a goofy side. Loves the spotlight. Cast him as Mercutio, Romeo’s buddy in Romeo and Juliet. 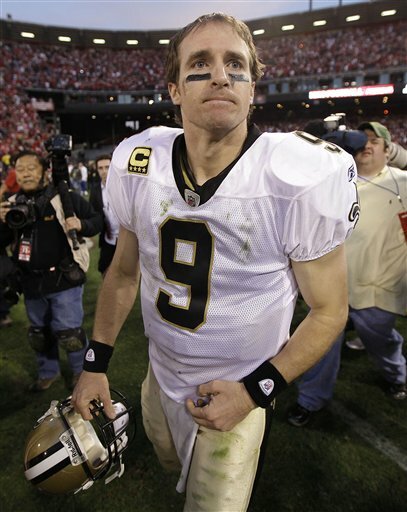 6) Drew Brees – Not imposing physically but skillful – with his words, actions, and business dealings. I’d love to see him as arch-villain Iago in Othello. 5) Brian Dawkins – Passionate and strong. Would play a good tragic leader, like Macbeth. 4) Mike Tomlin – I know he’s not a current NFL player, but he’d be a great Shakespearean lead. Something dramatic and dynamic, like Prospero in The Tempest. 3) Jared Allen – Possesses an interesting look and swagger, and he’s hilarious. Ideal for Shakespeare’s greatest comedic creation: Sir John Falstaff, who appears in Henry IV Parts 1 and 2 and The Merry Wives of Windsor. 2) Troy Polamalu – Intelligent and introspective, soft spoken with a ferocious side. He could handle the beast of a role that is Hamlet. 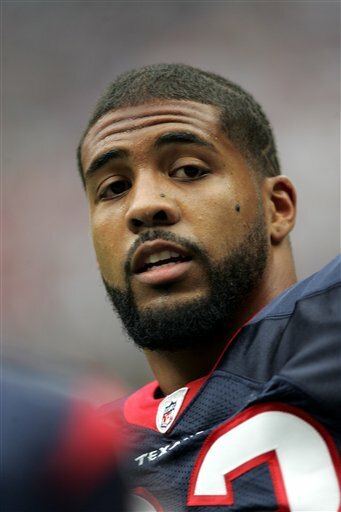 1) Arian Foster – The NFL’s most-poetic, most-stylish, and most-charismatic leading man. Like Polamalu but I think Foster would be even more versatile. Could play Hamlet, Richard, or Iago. Could probably even write his own play. Whatever role he’s in, I’d pay to attend.